When the warm days come, it is worth putting on light, airy clothing. Shorts will be perfect.At POCA & POCA we are well aware of the fact that this piece of clothing can be practical and stylish! Many women wonder what women's shorts to choose to fit them well and highlight the strengths of their figure. They should not shorten the legs, hug the body or reveal too much, despite the fact that they are short pants. They should slim the figure, mark the waistline nicely and match both sports shoes, high heeled sandals or ballerina shoes. Exploring the fashion trails and inspired by the beauty of harmonious nature, we have discovered the secret of shorts in which every woman feels comfortable and looks stunning. 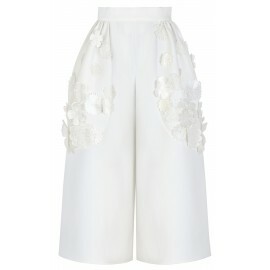 From the flowered gardens, we took the idea of graceful flared women's shorts. High waist and widening legs make these shorts successfully replace a skirt or a dress – they will provide even greater comfort! POCA & POCA women's shorts with wide legs do not restrict movement, and at the same time protect the body - you can wear them for a bike ride or run up to a bus comfortably in them. What's more, these elegant women's shorts optically slim your legs and slim your figure. Their classic A-line cut and delicate decorations make women's shorts with wide legs from the POCA & POCA collection match both sports shoes and sweatshirts and a more elegant feminine top and shoes. Undoubtedly, they will make perfect women's shorts for work. While strolling through the blooming groves, we also noticed the dignified Sarracenia and Alpine Columbine flowers. 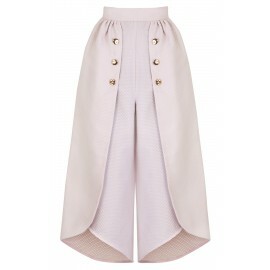 Their slender goblets and long petals inspired us to create women's cropped pants, reaching just above the ankle. 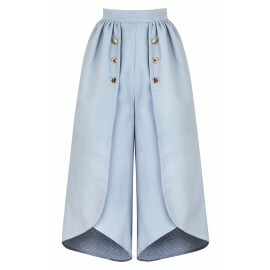 Just like short culottes, also these women's flared cropped pants resemble an airy long skirt. They cover almost the entire leg, and at the same time ensure breathability, also on warm days. Our fascination with flowers led us further to the beds full of beautiful tulips. It has been known for decades that in fashion, the tulip is a cut exceptionally friendly to the feminine figure. To fulfil the desires of elegant women, we created high-waisted women's shorts that every woman's waist will love. 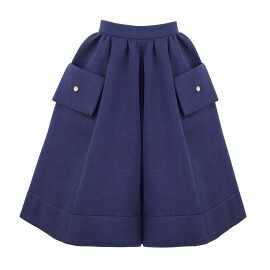 Delicately puffed knee-length legs are decorated with subtle ruffles at the top, which nicely shape the hip line. Thanks to the shimmering fabric, these stylish women's summer shorts can be worn every day and for an important meeting or festive dinner. Observing the nature, don’t you find that sometimes the simplest things are the most beautiful? 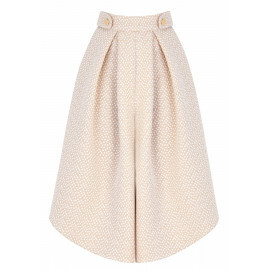 That's why the POCA & POCA collection of shorts exudes fresh, classic elegance. You can find here white, salmon, shiny pink, black, cream, dark blue women's shorts and shorts made from a fabric with black and white floral print. 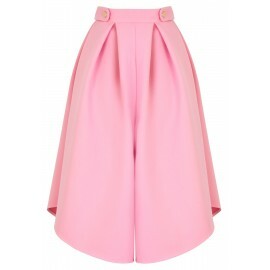 The most fashionable and natural colours will help you create a tasteful outfit. 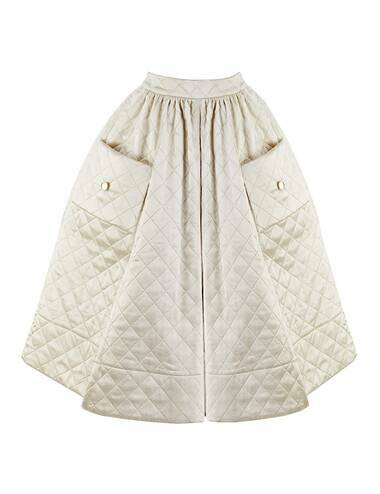 High-quality embossed, embroidered, quilted, shiny and denim fabrics create a sublime background for creases and pleats that cover the legs with the refreshing delicacy of a summer morning. Stylish cuts harmonise with subtle ornaments: pearl balls and gold buttons, alluding to the magic of gardens sprinkled with crystal dew.